A Custom blended colour is applied to your brow, and whether we darken, lighten or simply tone the natural colour of your brow hair, we will ensure your new brows compliment your look, and your style. From there, we use our exclusive brow mapping formula to design your unique shape before using a combination of HD removal techniques to create it . Finally your brows will be perfected using our make-up collection along with a mini make-up lesson to maintain and make the most of your brows between appointments. Russian Lashes are the latest lash technique new to the UK, sometimes known as 3D lashes or even 6D lashes, and becoming one of the most sought-after treatment in salons today. This technique is ideal for ladies that don’t have many lashes and want a fuller look, or even for ladies that want a very glamorous ‘full on’ look. 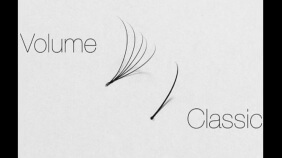 The effect can last up to 3- 4 weeks between maintenance as opposed to 2-3 with classic individual eyelash extensions. A patch test will be required 48 hours prior to you first appointment for some treatments. Ask us for more information.